The challenges created by the new lease accounting standards will not end with transition and adoption of the new rules. In many ways, it’s just the beginning. Your approach to lease accounting and financial reporting — and even the necessary capabilities of your accounting technology — will never be the same again after Day One of the new regulations. 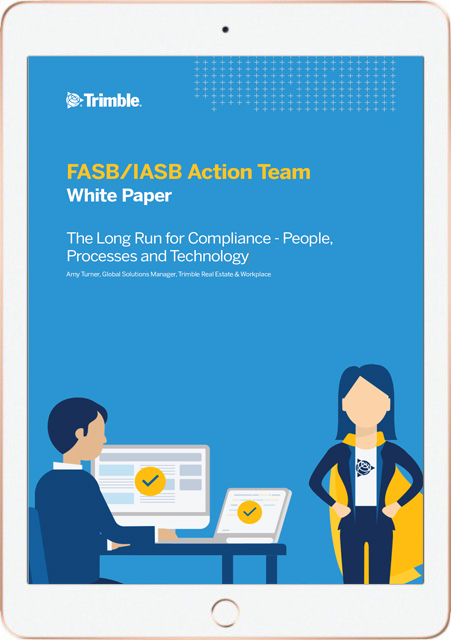 In this White Paper we focus on the three elements of the classic “golden triangle” of People, Process and Technology and why they are at the heart of making a success of compliance in the long run. This is the fifth in a series of white papers that examine the likely impact of the new lease accounting standards. As a global specialist with over 35 years’ experience, we help customers transform the way they plan, manage, and optimize their real estate portfolios, buildings and workplaces through cloud-based real estate, lease and portfolio management software.